How could you forget Katie and Landon’s incredible DIY wedding from last summer? Katie and her family put all their love and time into making their wedding so incredibly special with all the beautiful touches, from mason jars full of jam for take home gifts, to the unique table seating chart, to all the well designed, cute signage posted around the wedding. Check out Katie and Landon’s wedding blog post, here. 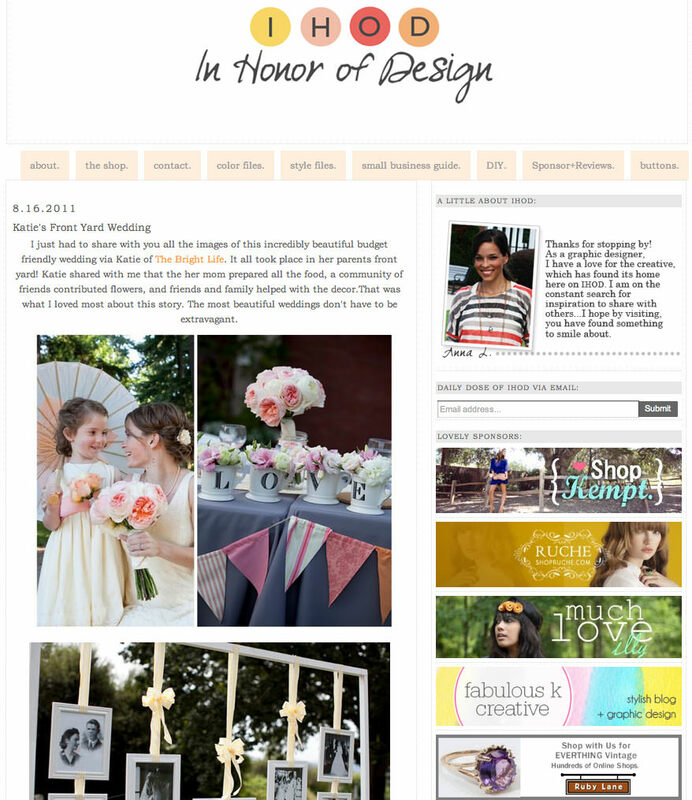 Katie truly has a gift, she keeps up a gorgeous blog, call The Bright Life, filled with all things beautiful! In Honor of Design thinks so, too!